Revenge, the soapish ABC drama that burst onto the scene in 2011, came to an end last weekend after four seasons. 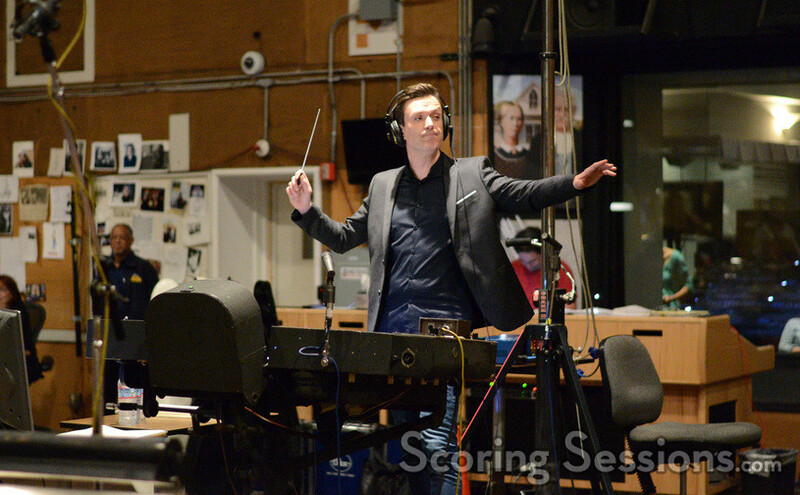 Composer Fil Eisler had the good fortune to record with a live orchestra for every episode, and ScoringSessions.com is thrilled to bring our readers photos from some sessions over the life of the show, as well as the series finale! Click here to view the extensive photo gallery! 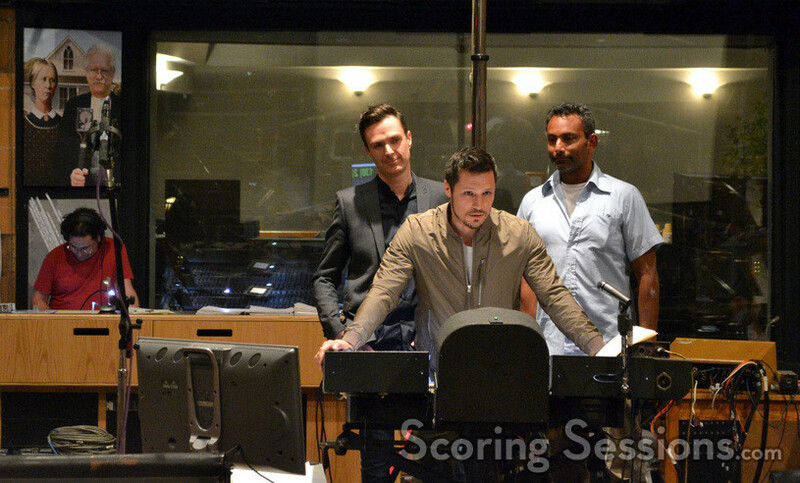 For each episode of Revenge, Eisler would write approximately 22-minutes of score. 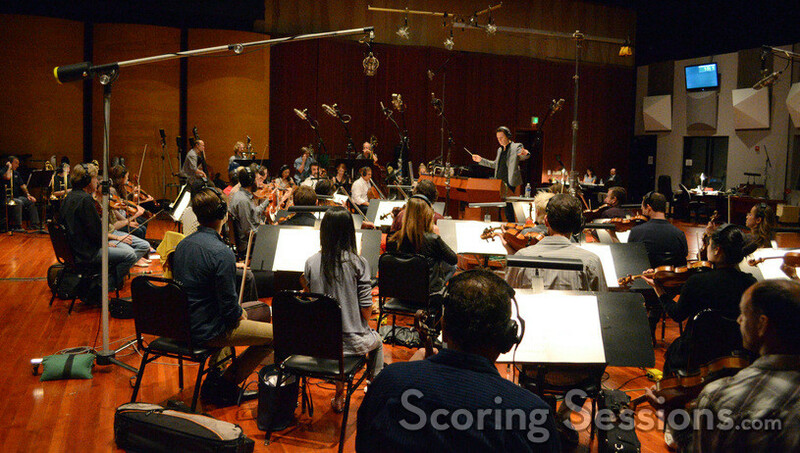 As the series progressed, some of these cues would be repurposed as library tracks and placed in the show, but every single episode had original music that needed to be recorded with an orchestra. For the general episodes, the size of the ensemble would range from 25-35 pieces. 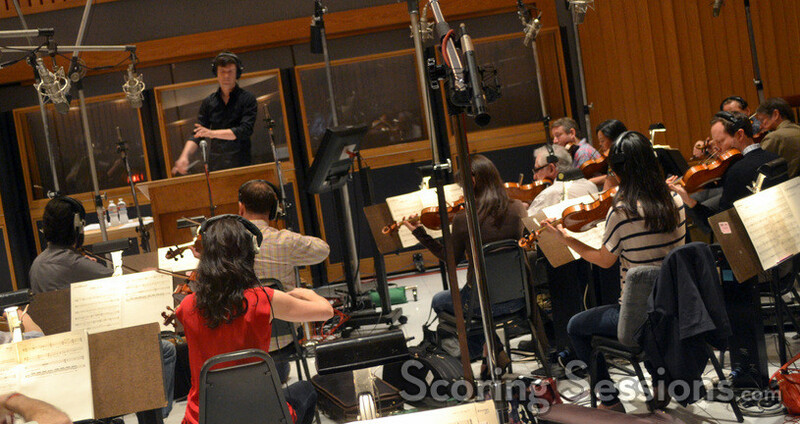 Recording generally took place at Capitol Studios and The Bridge, but for larger episodes, scoring took place at Fox, Sony or Warner Bros. featuring 46-piece orchestras. Since Eisler would be out on the stage conducting, he was reliant on his trusty team to keep things moving smoothly, and for feedback. The people have changed a bit over the years, but have included scoring mixers Justin Moshkevich and Jim Hill, orchestrators Penka Kouneva, Larry Rench, Tim Davies and Jeremy Levy, assistants Derek Snyder, Todd Parker and Andres Locsey, music editor Josh Winget, and additional music composers Phil Klein and Alexis Grapsas. Fil Eisler’s music for the first two seasons of Revenge were released on Intrada Records.